Do you need blog name inspiration? You've come to the right place! We'll give you a blog name domain that is not yet taken. Hurry up and take the quiz before someone else gets it! To generate your blog domain name (or your inspiration) we'll ask questions like: Is this a personal blog? 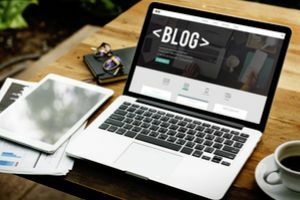 Will you blog daily? How will you make the world better? If you're having trouble coming up with a blog name, use this generator! Use what we give you as your own personal domain spin your own original name off of it! Take the quiz now!